Who wants to carry an extra bulky power bank for battery juices when you have this? Yes, with so many useful electronics devices nowadays, without electricity they are nothing but a piece of junk. Furthermore, when your phone battery is dead, it’s so inconvenient that almost like your world is literally ending…hmm.. maybe just for me. Back to the review, one good alternative beside of having an oversized external power pack is actually a smart battery integrated phone case. Out of so many competitions and choices in the market, the next question gonna be “who serves you best?”. So, before we get started, i’ve reviewed lots of battery cases over years and one common problem is the ugly chin and thick case. Some of those even hardly fit into your Jeans pocket. Therefore beside of appearance and capacity, we need to hunt for one that really practical to use in your daily life. So, Youtuber Matt from “The Deal Guy” has brought us another similar battery case by Surgit. As from my point of view, the battery case is incomparable from many aspect for my all-time-favor Anker Battery Case. With just 0.6in, Anker’s thickness is far superior than the 1.1in of Surgit. In terms of weight, Anker has only about 4oz while Surgit is on the 5.6oz point. Generally, most of their other features are quite similar. BUT, this all means nothing when we talk about the last aspect, which is also the game changer. The price for Surgit is only about $3, insanely 3 dollars, even a meal in MacDonald cost more than that. On the other side, despite of all the strengths, Anker is no doubt on the expansive side of the game, it costs about $56. In other words, you can have 18 Surgit for 1 Anker. I will not leave a conclusion here about which is better, depends on how you see the product, if you were the customer would you rather go for quality? or an 18x cheaper alternative? Check Surgit Battery Case here. 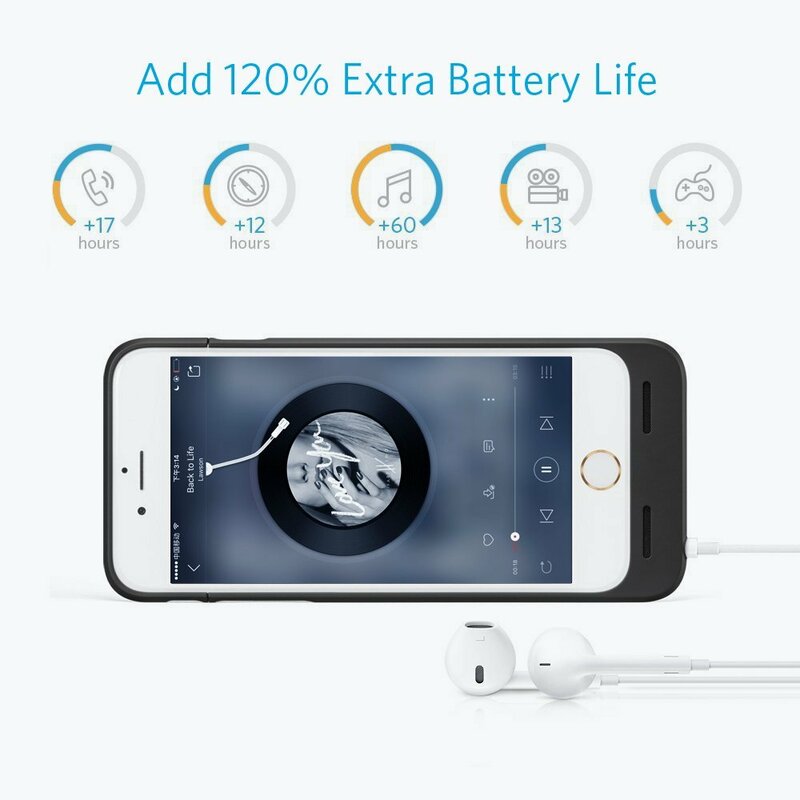 Check Anker Battery Case here. *All the prices mentioned are last updated on 7 July 2017. Please refer to the Amazon product page for current listing price.